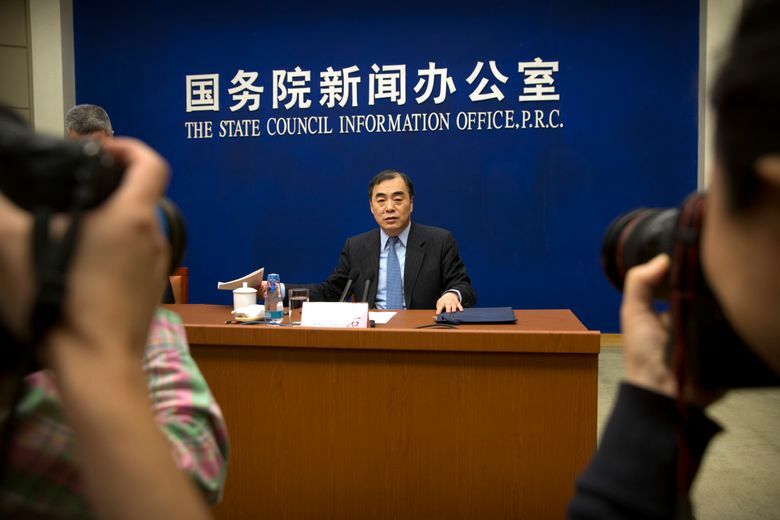 BEIJING (AP) — China’s chief envoy for North Korean affairs said Friday the reasons he hasn’t visited Pyongyang are “complicated” but that China remains committed to finding a diplomatic solution to tensions over the North’s nuclear weapons program. Vice Foreign Minister Kong Xuanyou offered no details but the lack of a visit has been cited as an indication of how badly relations between Beijing and Pyongyang have deteriorated. “I am the special representative of the Chinese government on the Korean Peninsula affairs, but I have not visited North Korea yet. The reason is quite complicated,” Kong told reporters. “But regardless whether I visit North Korea, China’s commitment to safeguarding peace and stability and realizing denuclearization on the peninsula will never change,” he added. 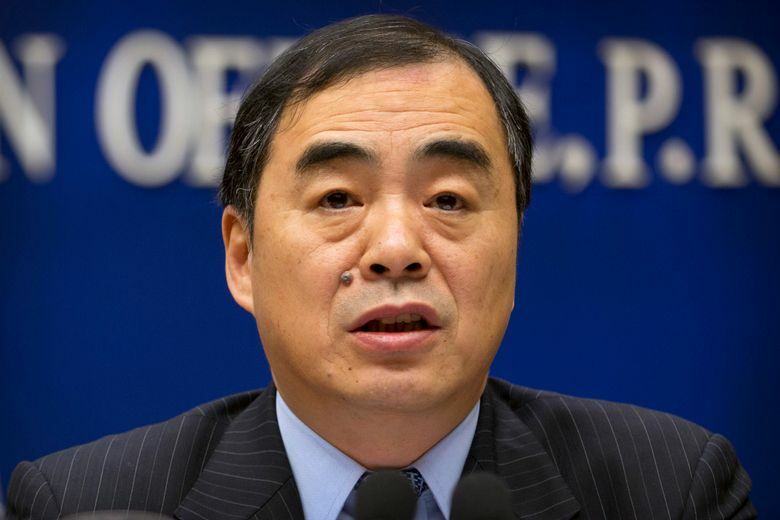 Kong, an ethnic Korean from northeastern China, was appointed special envoy in August. China has long been the North’s chief economic partner and political ally but North Korean leader Kim Jong Un’s refusal to rein in his regime’s provocative actions has left Beijing officials increasingly frustrated. China’s support for increasingly tough United Nations sanctions has also sparked a backlash from Pyongyang. Recent moves to ban sales of North Korean coal and other key exports are believed to be causing a cash crunch although the effect on regime stability isn’t known. In Tokyo, a Japanese Foreign Ministry official said Friday that Japan sees China as taking the U.N. resolutions on North Korea “very seriously,” and that Japanese Foreign Minister Taro Kono intends to encourage Beijing to do more to pressure the North when he visits China this weekend for talks with his counterpart, Wang Yi, and other top officials. But the official said that as a major trade partner of North Korea, there is more China can do, including cutting oil supply and other key items. The official spoke on condition of anonymity due to protocol. Sigal Mandelker, U.S. undersecretary of the Treasury for terrorism and financial intelligence, criss-crossed the region this week seeking more effective cooperation on the sanctions. She characterized meetings with Chinese officials in Beijing as productive but also stressed that China’s efforts were “critical” to maximizing pressure on Pyongyang. That includes expelling any individuals facilitating illicit trade or financial transactions with North Korea and preventing smuggling. “We need to have very strong international cooperation when it comes to cutting back the ship-to-ship transfers,” Mandelker said. “While we seek to work very cooperatively with our Chinese counterparts we won’t hesitate to take unilateral action where we think such unilateral action is warranted,” she said. Despite its reservations, China wants to avoid bringing the regime crashing down, causing a potential refugee and security crisis along with the loss of a buffer between it and U.S.-backed South Korea. Unlike his father and predecessor Kim Jong Il, the younger Kim has yet to visit China since coming to power in 2011. The last high-level Chinese visitor to Pyongyang was Song Tao, head of the ruling Communist Party’s International Department, in November.